Founded by husband and wife duo, Max and Bethany Vogel of Brooklyn clothing boutique Wolves Within, Home of the Brave started its humble beginnings as a seasonal pop-up shop with emphasis on high quality, designer-made goods that tell a story. It wasn’t long until the married couple decided to open its brick and mortar location in February of 2014, to serve its stylish community of Greenpoint locals like passersby Verena Michelitsch and Eva Goicochea. 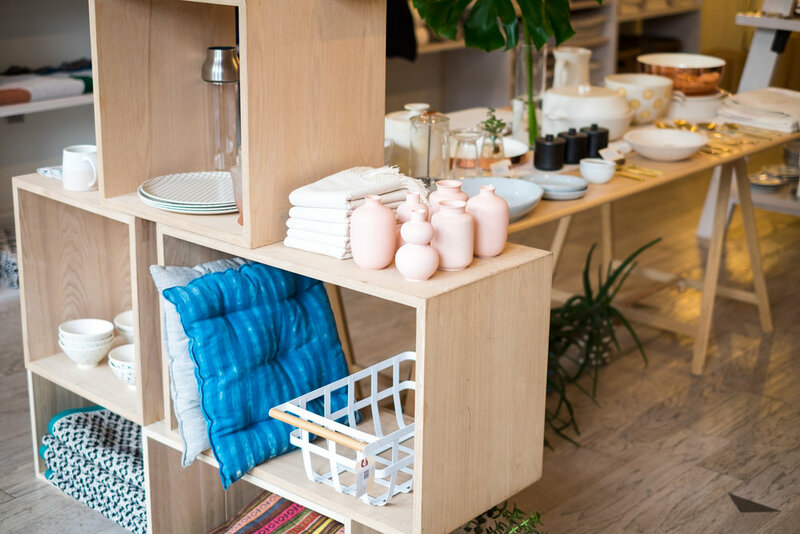 The neatly curated home store carries a wide array of gorgeous housewares and modern furnishings with an emphasis on Fair Trade products and handmade goods sourced from local designers and artisans from around the globe. 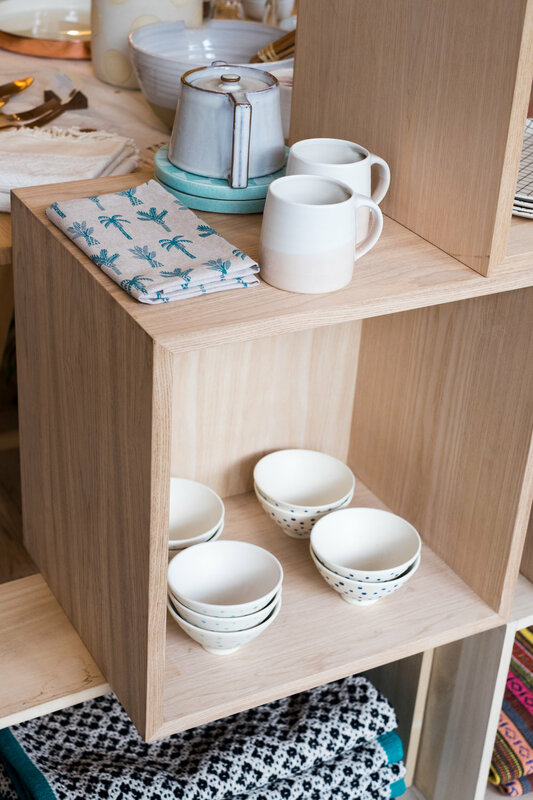 Although the store is modest in terms of square feet, its feng shui is harmonious and you’ll easily find yourself drawn into it’s illuminating world of indigo-dipped porcelain bowls, Japanese Husami glazed mugs, elegant Danish enamel cookware and beautifully patterned tea towels.